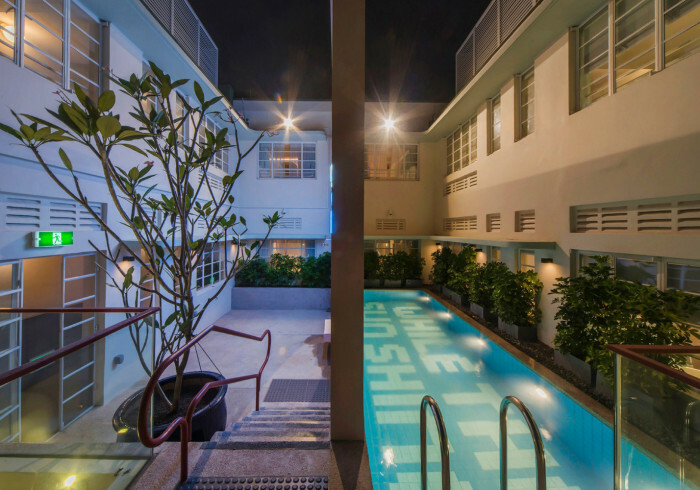 On the little red dot, in little india, sits a little great hotel. Of little objects that speak of time and place. The great madras is small in size, just 35 rooms, but it is great on attitude, personality, and service. Most of all, it has a great heart. The great heart is made up of little things. Signs of little great moments, little great adventures, little great stories.You see now, little doesn’t have to be little. Little by little, greatness grows. The Great Madras is ready for a little more greatness. Stay at The Great Madras. Live a little great. Check-In / Check-Out Policies This property has the following check-in and check-out times and policies. Check-In: 3:00 PM Check-Out: 12:00 PM Late check out (after 12:00 PM and before 6:00 PM) may result full night charges. Access to and use of this website is conditional upon your acceptance of these terms and conditions. Please read the following terms and conditions closely before using our website. If you do not agree with any part of these terms and conditions, you must not use this website. Any use of the www.thegreatmadras.com website, or written communication with The Great Madras Hotel, for the purposes of travel arrangements/ accommodation, confirms that you are aged 18 or over and that you have read and fully accept these terms and conditions. These terms and conditions are devised for the protection of all parties. 0 to 4.99 years old is considered as ‘Infant’ and will be FOC when sharing parents bed. Please do not reply to your auto generated booking confirmation email. Should you like to contact us regarding your reservation please email us on reservation@thegreatmadras.com and mention your booking reference number, including name, dates and the hotel. Airport Transfers can be arranged at favorable rates. We would require your confirmed flight details to arrange and confirm airport transfers and rates for the same. Please send the details to reservation@thegreatmadras.com. Please note that an external vendor or subsidiary or associate company may be used to provide transportation to, from or between the resorts. In the case where the hotel is overbooked we will request to transfer your booking to a similar or higher category hotel. You may agree to be transferred or you may cancel the booking. If you agree to be transferred, then we will do so to the best of our ability and without any additional cost. If you wish to cancel the reservation at this point, we will do so without any penalties and refund the full amount. The guest must have a confirmed reservation made. The confirmation email sent after making the online reservation will be considered as proof of reservation Booking (Reservation) Disputes If a dispute arises with regard to a reservation made with The Great Madras Hotel has the sole authority to cancel the reservation by informing the guest via email. The reservation amount will be refunded in full minus any bank charges to the credit card. It is your responsibility to ensure that you and other members of your party obtain the right inoculations and medical advice before you travel. Similarly, it is your responsibility to ensure that you and other members of your party have correct and valid passports, visas and have conformed to all other requirements pertaining to your travel arrangements before the holiday commences. Should you require assistance on this matter we will be pleased to make recommendations. We will not be held responsible for you traveling without the correct travel documents. You will be responsible for any breakages, losses or damage caused by you or a member of your party during your stay in the accommodation. It is your responsibility to put right the damage or to make full payment to the hotel before departure and to indemnify us against any losses, damages or claims made against us. Behavior You are responsible for compliance with all relevant regulations applicable to the resorts during your holiday. If in the opinion of our Management your behavior is disruptive or causing distress, injury or danger to other clients, our staff or any other third party, your reservation may be terminated and we shall not be responsible for any costs or claims that are incurred. When your booking is confirmed with us, a contract between The Great Madras Hotel and / or you is constituted. That contract and these Booking Terms and Conditions shall be governed in all respects by the laws of Singapore. You communicate with us electronically whenever you visit our website or send emails to us. You consent to receive communications from us electronically and by fax. You agree that all notices, disclosures, agreements and other communications that we provide to you electronically or by fax satisfy any legal requirements that communications be in writing. The Great Madras Hotel accepts no liability for any virus or any other type of electronic infection that may be transferred through the site. Under no circumstance will we be liable for any loss or damage caused by a user’s reliance on information obtained through this site. The above terms and condition are valid from the 1st of January 2019.